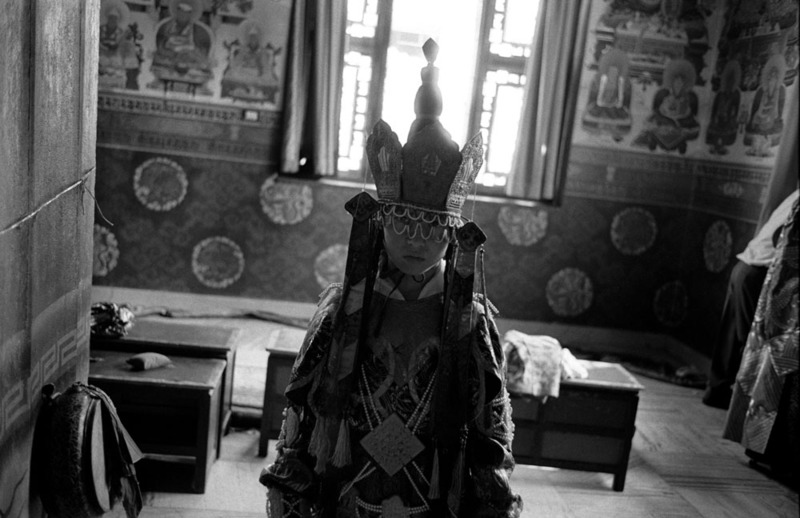 A Tibetan Buddhist monk in a traditonal festival cloth in a monastery in Kathmandu, Nepal. 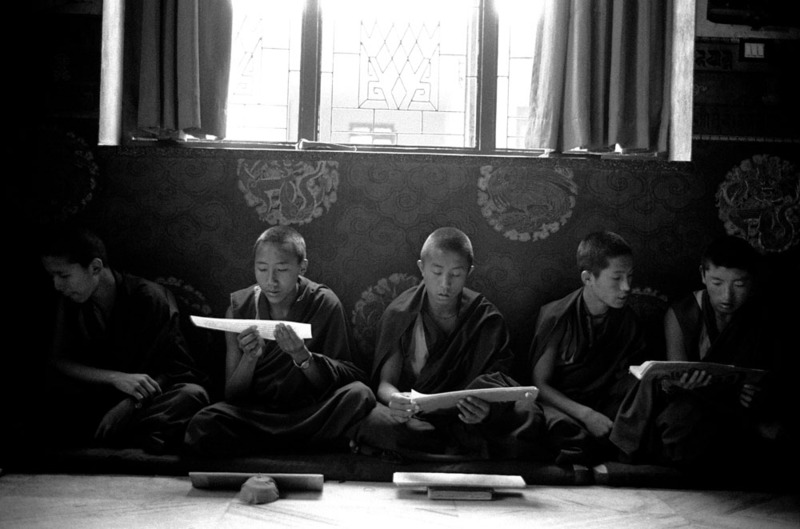 Young Tibetan Buddhist monks chant sutra in Shechen Monastery in Kathmandu, Nepal. 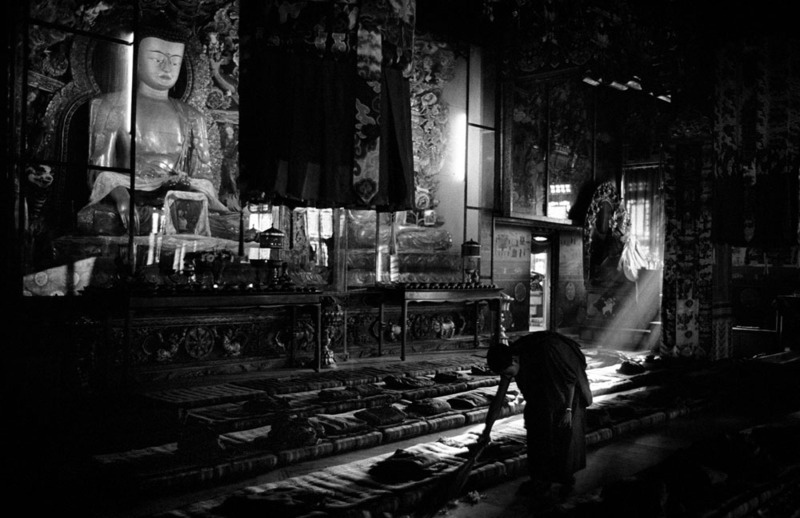 A Tibetan Buddhist monk cleanes a room after meditation in a Monastery in Kathmandu, Nepal. 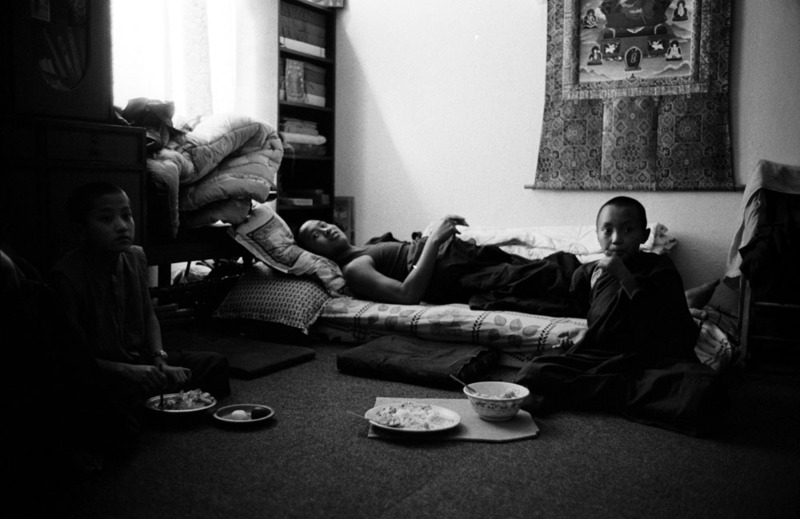 Tibetan Buddhist monks have lunch in their room in Shechen Monastery in Kathmandu, Nepal. 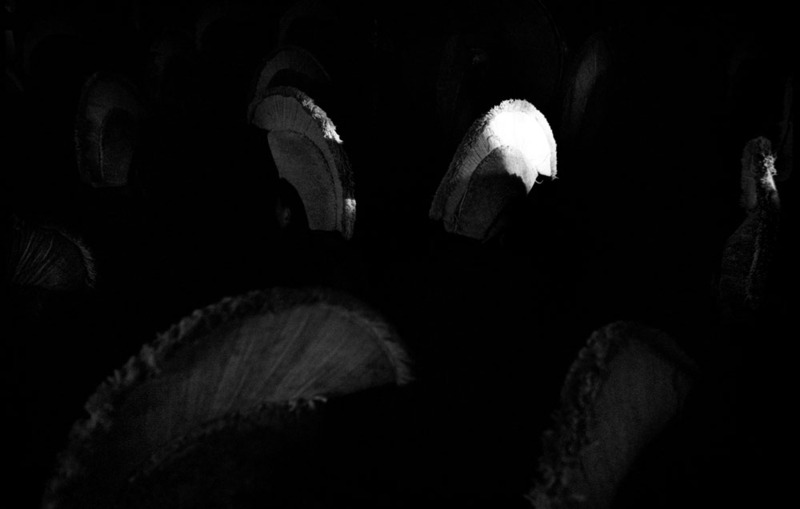 A Tibetan Buddhist monk watches the traditional mask dance in a monastery in Kathmandu, Nepal. Tibetan Buddhist monks with wig and flad in Shechen Monastery in Kathmandu, Nepal. 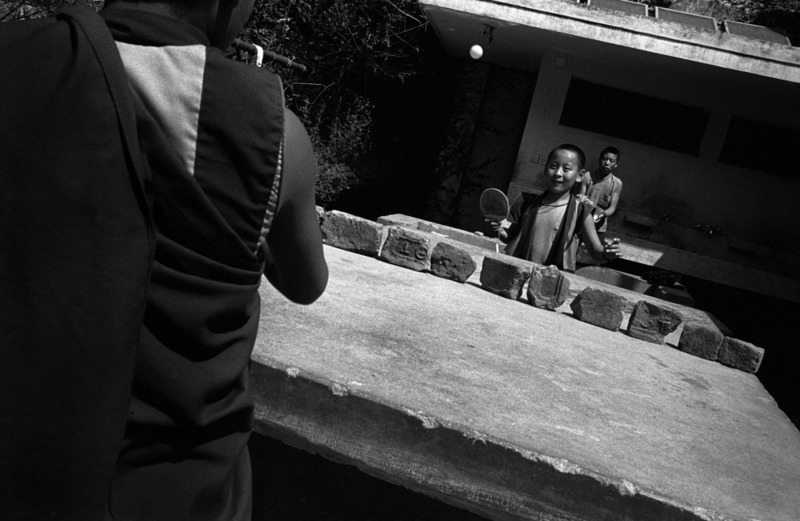 Tibetan Buddhist monks play pingpong after lunch in a Monastery in Kathmandu, Nepal. 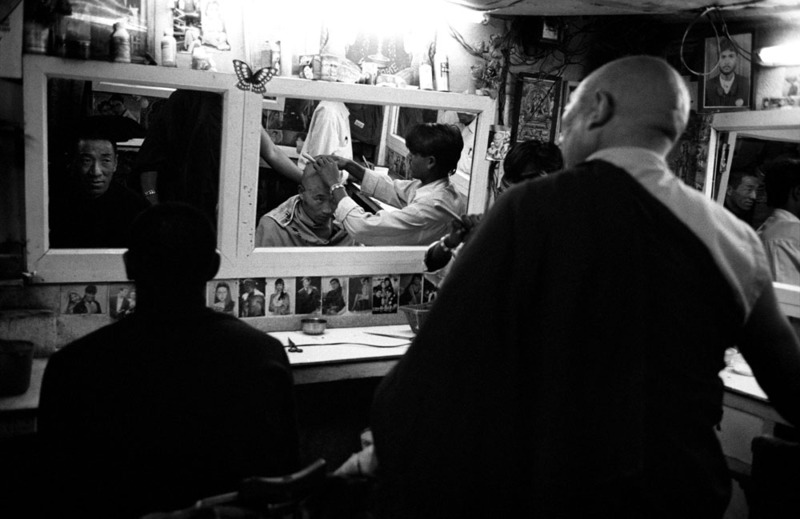 Tibetan Buddhist monk makes his head shaved in a barber in Kathmandu, Nepal. 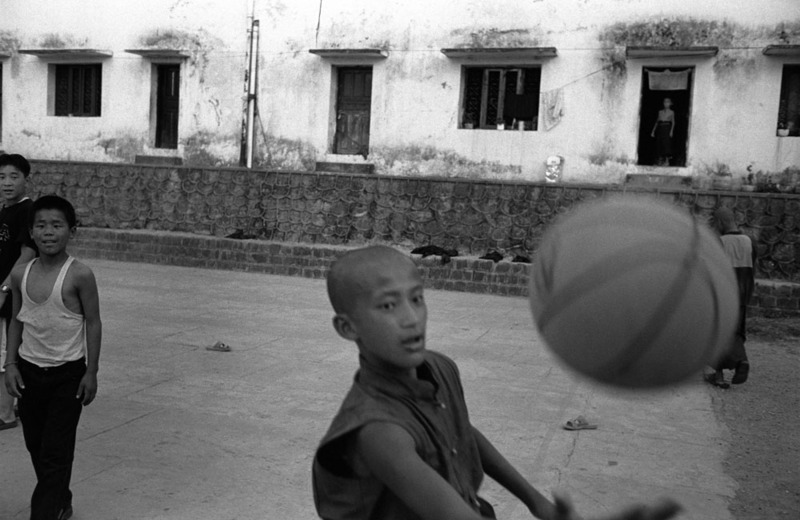 Tibetan Buddhist monks in Shechen Monastery in Kathmandu, Nepal. 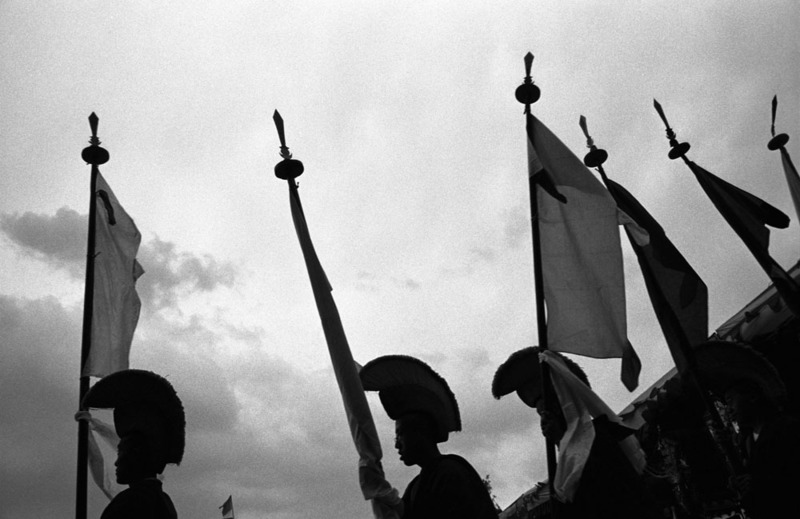 Tibetan monks with traditional wigs in an early morning in a monastery in Kathmandu, Nepal. 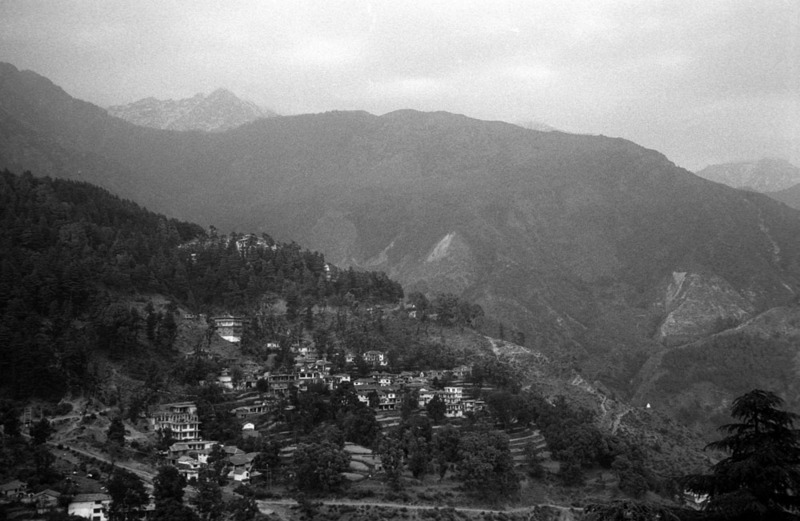 Dharamsala, the biggest exiled Tibetan colony, in northern India. 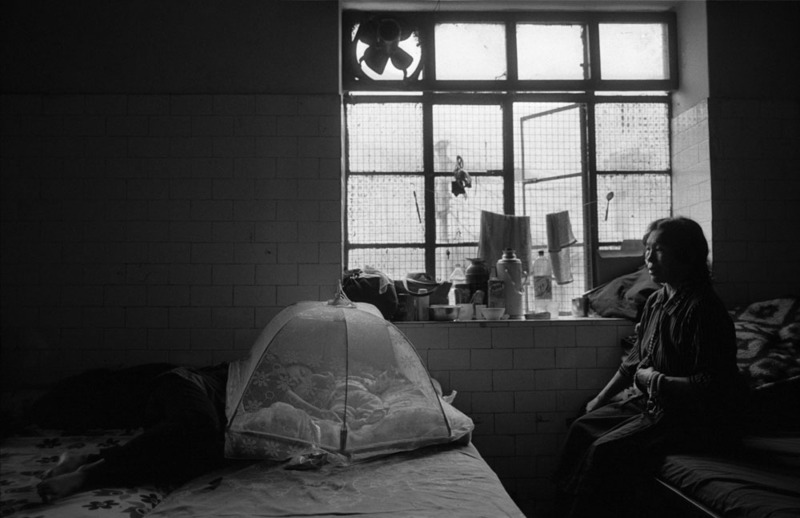 An exiled Tibetan mother with her baby on the bed in a refugee center in Dharamsala, India. 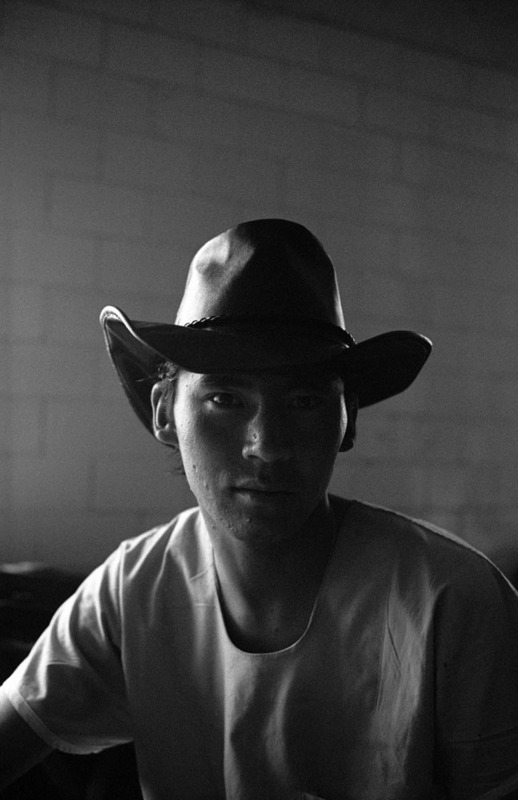 An exiled Tibetan in the Tibetan refugee center in Dharamsala, India. 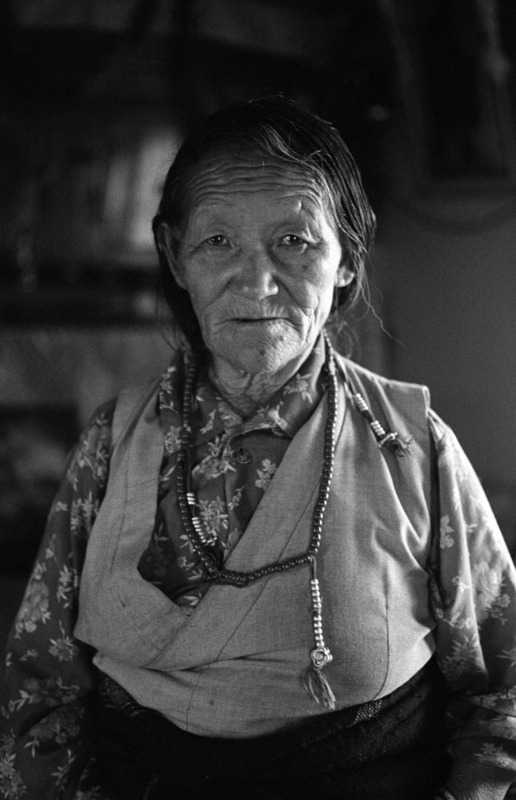 An old exiled Tibetan woman at her house in Bir, India. 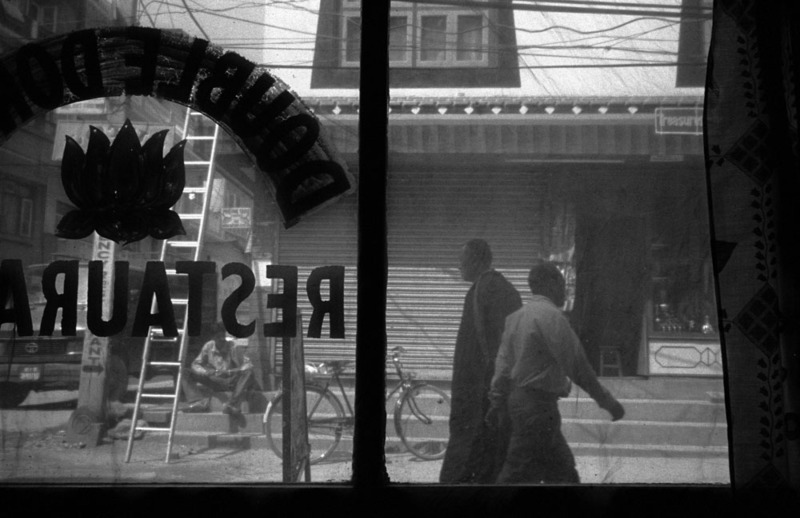 Street scene from a restaurant ran by a Tibentan family in Kathmandu, Nepal. 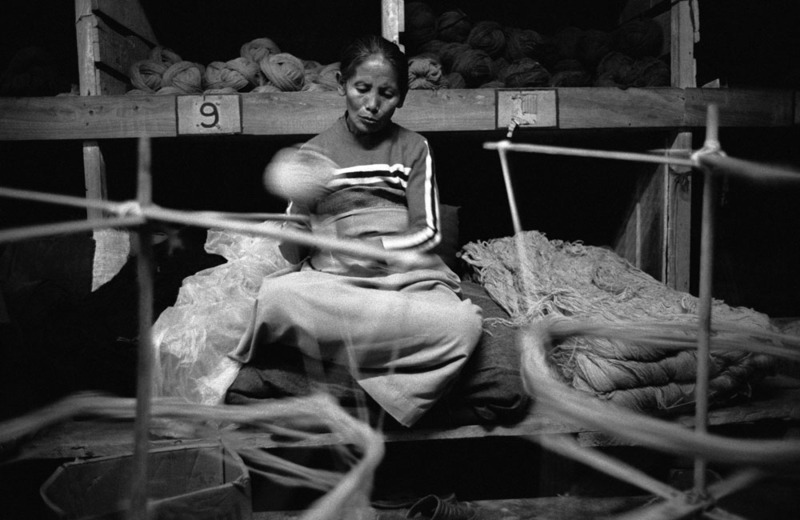 An old Tibetan woman makes wools for Tibetan carpet in Dharamsala, India. 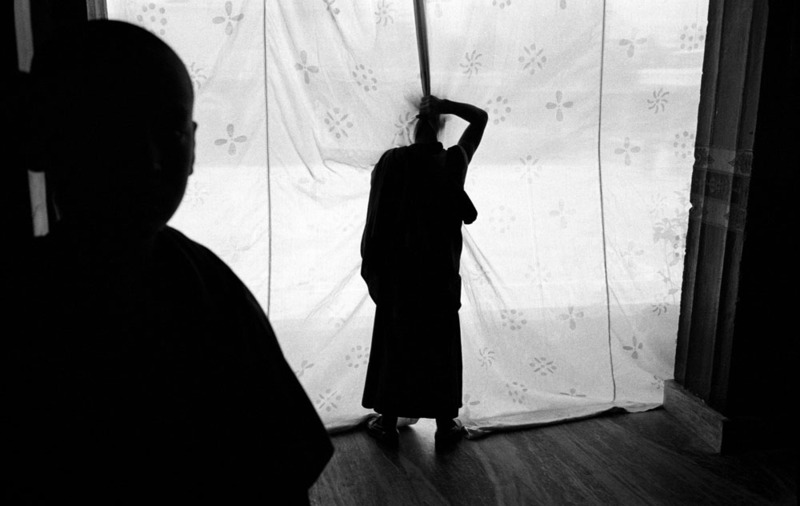 An exiled Tibetan monk waits for his turn in a Tibetan clinic in Dharamsala, India. 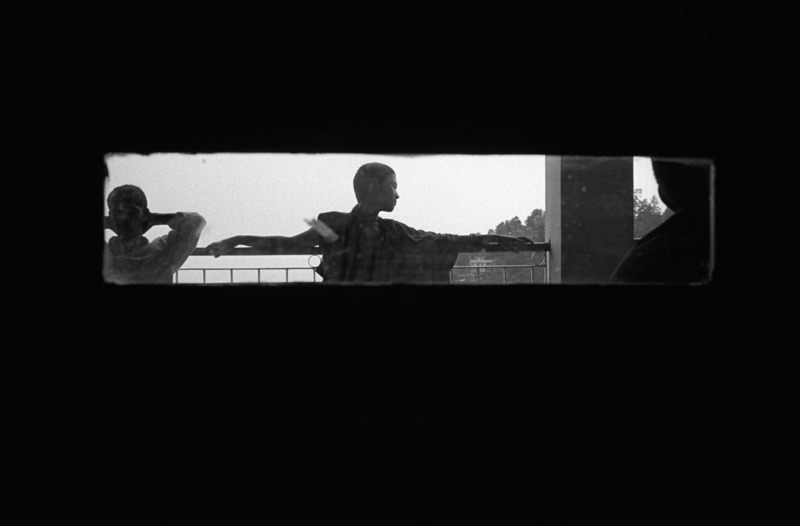 An exiled Tibetan family in a Tibetan clinic in Dharamsala, India. 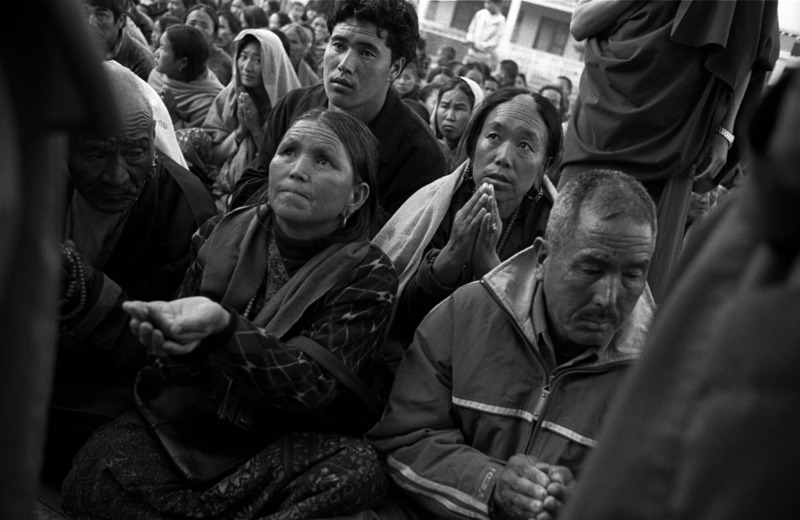 Tibetan pilgrims wait for the blessing from Shechen Ramjam Rinpoche in a monastery, Nepal. 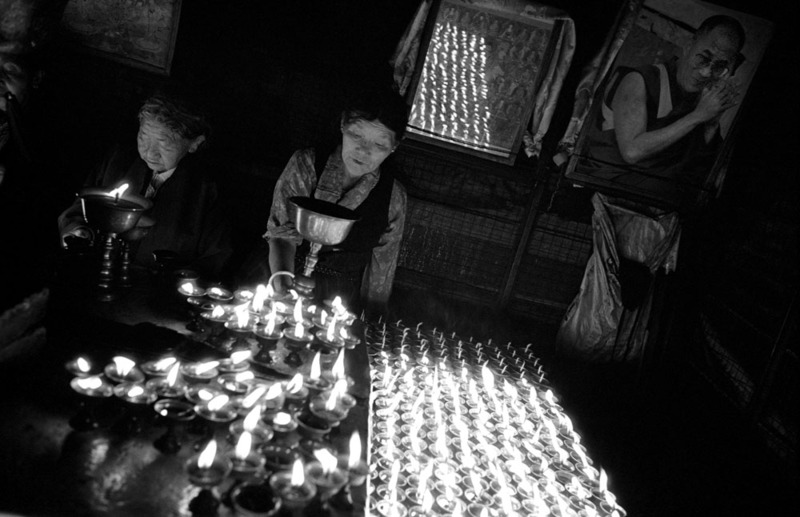 Tibetans pilgrims light up candles in the Bodhnath stupa with the portrait of Dalai Lama, Nepal. 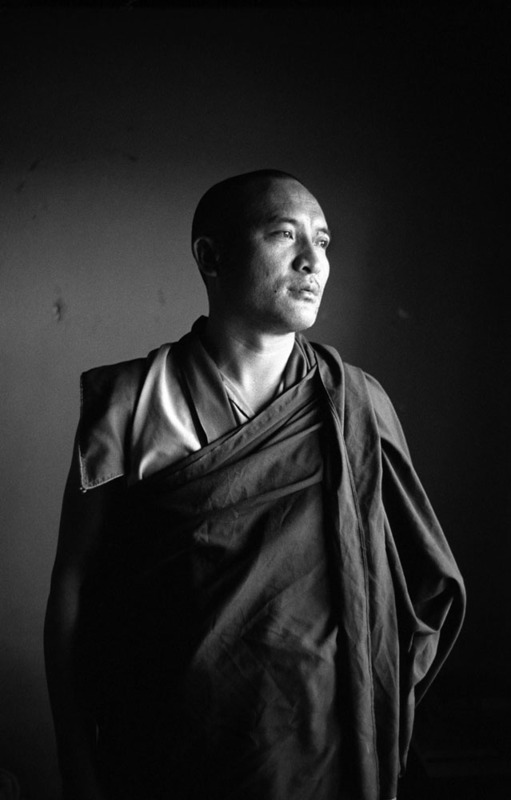 An exiled Tibetan monk in Bir, India. 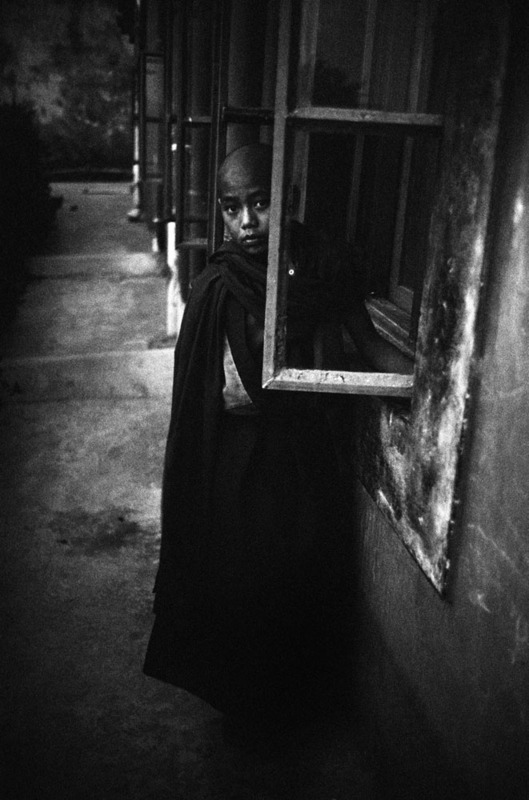 A young Tibetan monk in Bir, India. 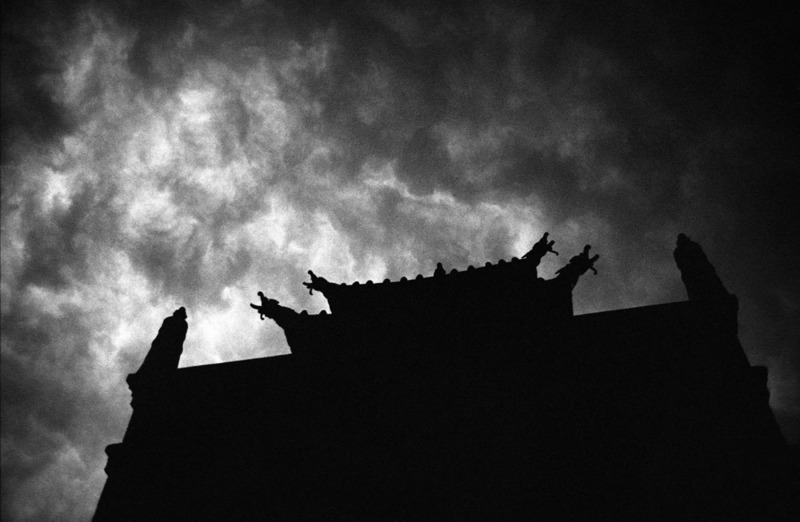 Stormy clouds cover the sky over a Tibetan monastery in Bir, India. 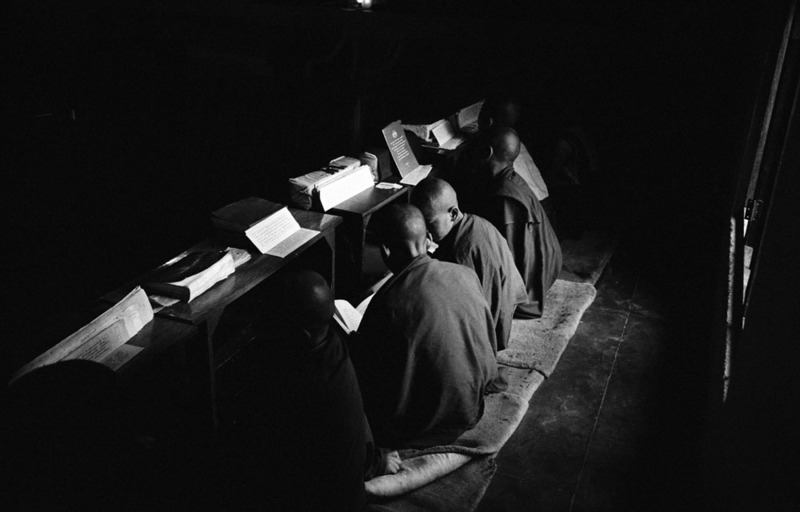 Tibetan monks in a monastery in Bir, India, during the Tibetan buddhism class. 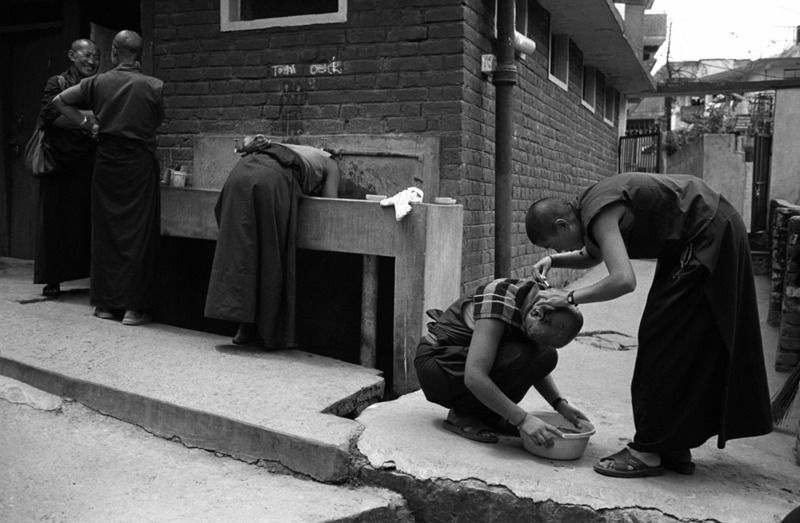 A Tibetan nun shaves her friend's head in a nunnery in Dharamsala, India. 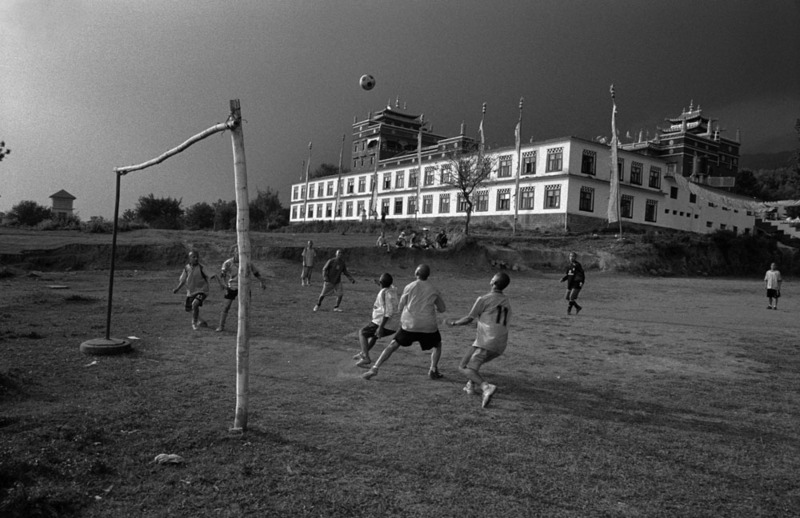 Exiled Tibetan Monks play football behind their monastery in Bir, India. 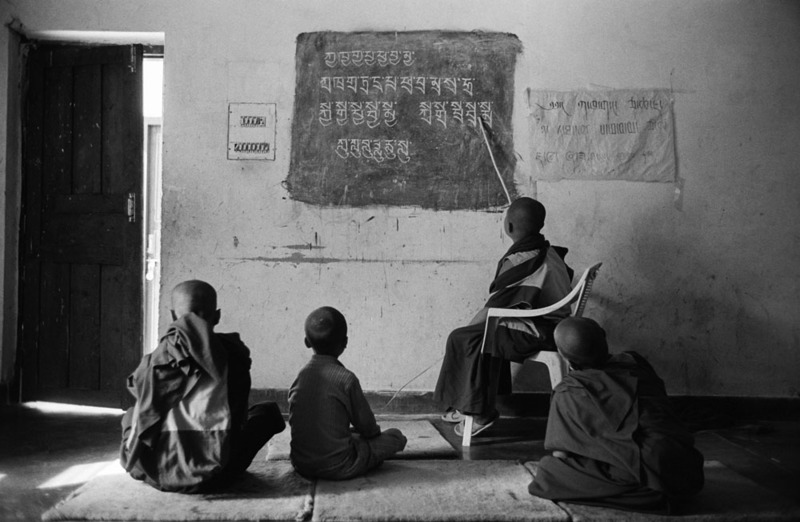 Exiled Tibetan monks during a Tibetan language class in a Tibetan monastery in Bir, India. 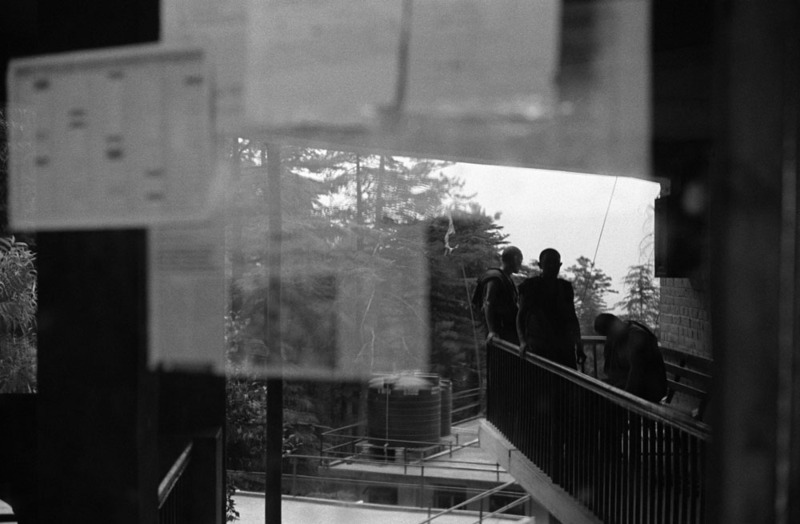 Exiled Tibetan monks in a Tibetan monastery in Dharamsala, India. 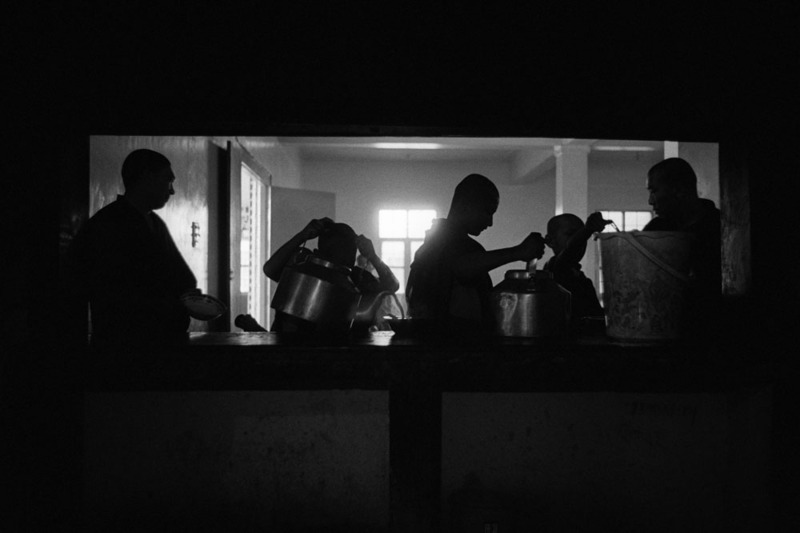 Exiled Tibetan monks pour tea from kettles during lunch time in a monastery in Bir, India. 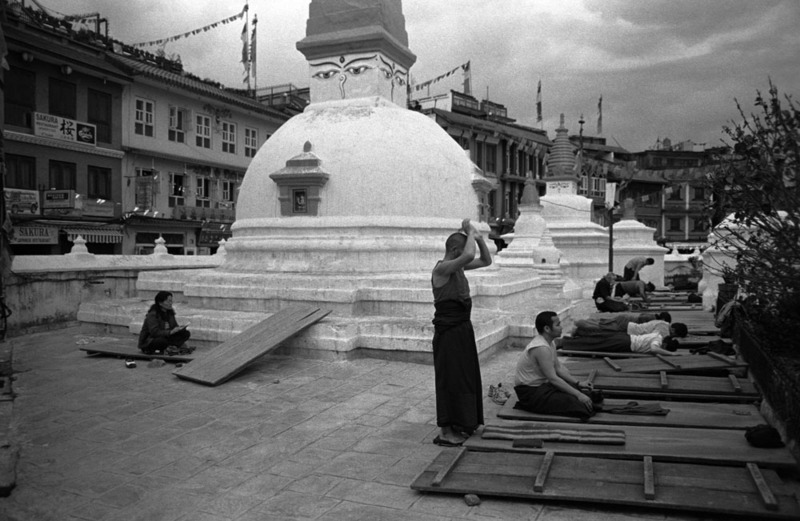 Tibetan pilgrims pray around the Boudhanath Stupa in Kathmandu, Nepal. 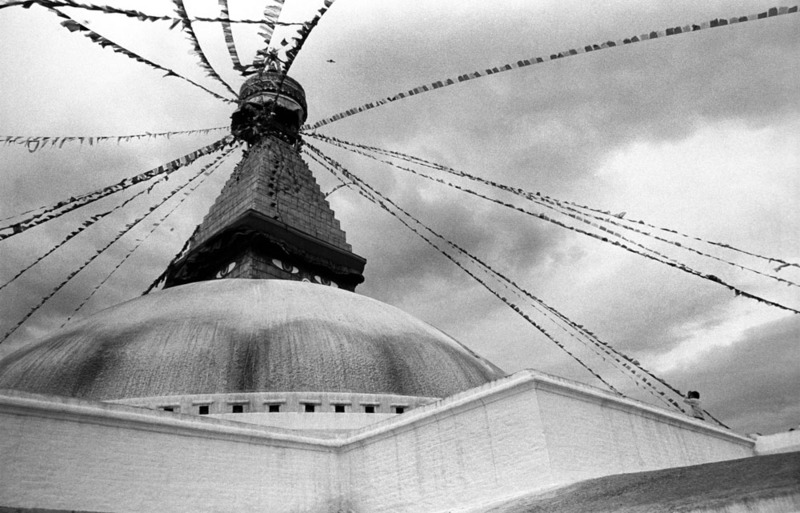 A Tibetan pilgrim prays to the Boudhanath stupa in Kathmandu, Nepal.